The end of 2018 was a great time for our friendly neighborhood Spider-Man. Outside of the ongoing comics, fans saw the arrival of the Into the Spider-Verse film, as well as the highly anticipated release of Insomniac’s Spider-Man for the PlayStation 4. Now, you may be thinking to yourself: “Grant, where have you been? After a long break, you dropped a post about Disenchantment back in August, then vanished again! You must have been very busy!” Yes, I was extremely busy. But now, after four long years, I am approaching the end of my final semester of college and, though I am in the midst of my student-teaching, I find myself with a lot of unexpected free time. What better way to spend it than playing PS4 and writing about it? So, without further ado, and with a big ol’ ***SPOILER WARNING*** up top, let’s swing into my thoughts on Spider-Man! Arguably one of the most highly anticipated titles of last year, Insomniac’s Spider-Man does the impossible: it dives past years of terrible game outings for the wall-crawler, and delivers a fresh, fun, and exciting take on the titular hero. The story follows a seasoned Spider-Man, no longer the fresh-faced newbie hero. As he navigates love, work, family, and being a hero, good ol’ Peter Parker is stretched to his limits. Everything starts to fall apart as the Demons, a gang led by infrequently-used villain Negative Man, starts causing trouble in the streets. Add into the mix a prison break, a major betrayal, and a city-wide outbreak, and you’ve got all you need to make a seriously engaging and wonderfully original Spider-Man tale. The game plays extremely well, and it is just so darn pretty to look at. The combat is smooth, the missions are fun and varied mechanically, but the real star of the show is the web-swinging. My oh my, the web-swinging. Not since the days of Spider-Man 2 on my old GameCube have I experience web-swinging of this quality. It’s fast, responsive, and most importantly, fun. 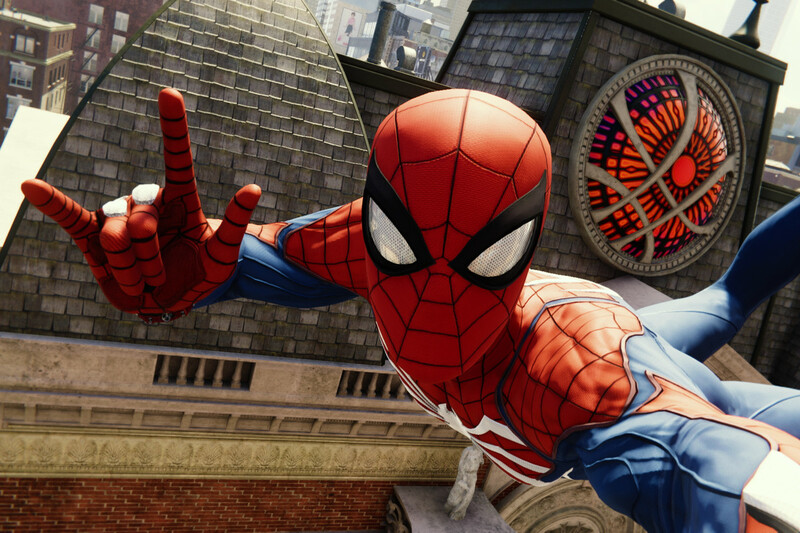 Even if the game was lacking in content (it is not), I would be satisfied just swinging around New York for hours. What a joy it is to just take in the sights as my favorite superhero. Now, some fans weren’t completely satisfied with some of the non-Spidey missions. That’s right: at certain points during the game, you play as MJ or Miles Morales (pre-powers). Fans complained that the segments messed with the pacing of the game, and just weren’t very fun, but I disagree. Sneaking around as Mary Jane was a blast, and hacking as Miles was a great new look into the character’s skill-set. I never felt like the pacing of the game was broken by these segments. To me, they only served to ramp up the tension, and build more excitement to see Spidey in action again. Insomniac did an incredible job casting this game. Every performance makes the cut-scenes feel more like an actual Spider-Man movie than a video game. The motion-capture is of the highest quality, and rendered so beautifully that you can see even minute details in the actor’s faces. Yuri Lowenthal plays the role of Peter Parker with incredible range, showcasing heartbreak and happiness and everything in between with nuance and grace. Laura Bailey, one of my favorite Voice Actors, creates a Mary Jane you can’t help but have a crush on. And every other member of the cast does just as well. The performances really cement this Spider-Man outing as its own unique universe, and leaves me excited to see more. If you have a PS4, get this game (Amazon Affiliate Link). It’s fun, it’s beautiful, and you’ll have a great time. If you don’t have a PS4, I might go so far as to say this game could sell the console. It is just that good.